There are some things that you should just leave at home. 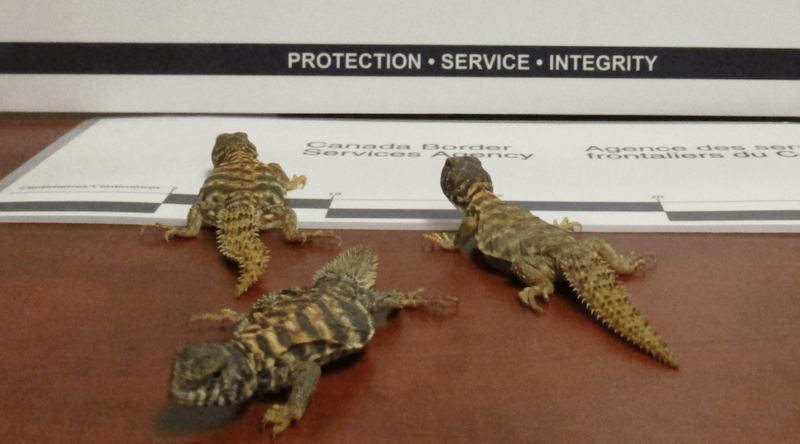 A man attempting to smuggle six infant lizards into Canada at the Abbotsford- Huntington port of entry in October 2015, has been fined $6,000. A border services officer discovered the live reptiles in the pocket of Anderson’s hoodie. The officer subsequently charged him under the Wild Animal and Plant Protection and Regulation of International and Interprovincial Trade Act (WAPPRIITA). “Our border services officers work diligently to intercept the illegal importation of restricted and prohibited goods including endangered species. This seizure also highlights the important partnership between the CBSA and Environment and Climate Change Canada in protecting our ecosystems,” Harald Wuigk, of CBSA said in a release. Anderson pleaded guilty to one count of making false statements and one count of importing an animal without a permit. Of his total penalty, $5,000 will be paid to the Environmental Damages Fund.